"There's a line drawn across your life. You cross the line forever." When Leo Nolan's father dies in 1995, his stepson, Adam, now twenty-one, finally asks the question that he has never asked, the question he could never ask. He asks it simply. "Is my father alive?" 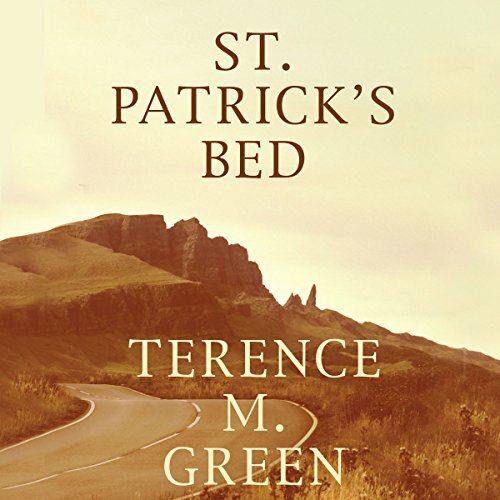 St. Patrick's Bed, the sequel to the highly acclaimed, World Fantasy Award finalists Shadow of Ashland and A Witness to Life, revisits Leo's family, eleven years after the momentous visit to Ashland, Kentucky. Thus begins this new odyssey to Dayton, Ohio, to the past, accompanied by family ghosts and the hard truths of the present. Leo's quest is both simple and complex: the need in the human heart for redemption, resolution and homecoming. ©2001, 2014 Terence M. Green, This edition was published by Open Road Integrated Media, Inc. (P)2015 Audible Inc.